Description: The Ann Arbor District Library (AADL) system is composed of the Downtown Library, four branch libraries (Malletts Creek, Traverwood, West, Pittsfield). 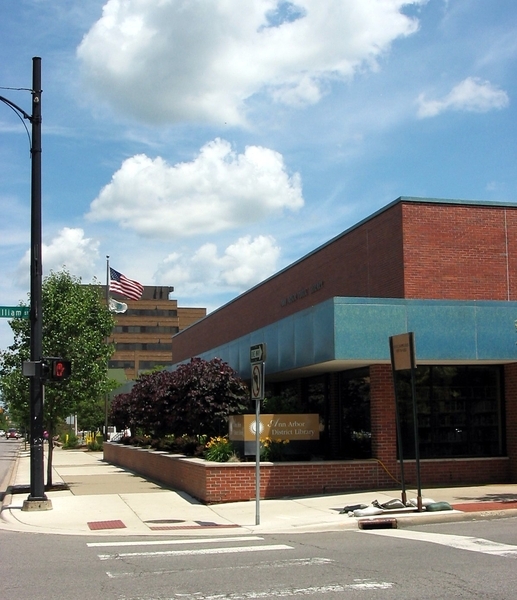 The AADL provides services at no charge to all residents living within the Ann Arbor School District's boundaries with services available to all others for a fee. The library system holds over 500,000 materials - books, DVDs, compact discs, magazines, audio books and more. In total, over 8 million items were checked out of the system during fiscal year 2007-2008! In addition to these items, thousands of people entered the library to utilize print and electronic reference resources, access the Internet through the Library’s fiber-optic connection, enjoy state-of-the-art Wi-fi service, participate in computer and Internet training, view a Library exhibit, or attend one of the Library’s many events. Our friendly and professional staff is eager to serve you. Welcome to the Ann Arbor District Library!